If, like me, you have a fiery aversion to Racing Carnival season, sportsball, Soviet Russia-style winters, and Clive Palmer's marketing campaign, fear not. Victoria has high hopes to blossom into the medicinal cannabis heartland of Australia. Last year, Victoria released Australia’s first-ever medicinal cannabis industry development plan, mapping out a framework for government support of the fast-growing industry. The strategy aims to have the state supply half of Australia’s pot by 2028, along with the creation of 500 local jobs. Victoria was the first state to legalise the use of medicinal cannabis in 2016, but only for patients in exceptional circumstances, such as children with epilepsy. Last April, Canada's Canopy Growth (NYSE:CGC | TSX:WEED), the world's biggest medicinal cannabis company, said it will spend some $16 million establishing a hub for cultivation and production in Victoria, with a long-term view of exporting the product overseas. ASX pot-stocks like Cann Group (ASX:CAN), which is building Australia’s largest state-of-the-art medicinal cannabis growing facility near Melbourne Airport, as well as THC Global (ASX:THC), are already establishing Victorian operations to supply both local and international demand. 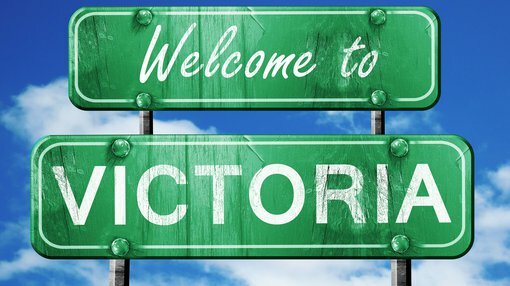 This week, two Canadian companies revealed plans to invest in Victoria as a would-be hash hub. Cronos Australia, a subsidiary of the Canadian Cronos Group (TSE:CRON | NASDAQ:CRON), unveiled its intention to locate its Asia-Pacific headquarters in Victoria, along with a state-of-the-art research and development centre and production facility. On top of that, fast-growing startup, Cannatrek, an investee of Ontario-based CannTrust (TSE:TRST), will invest $30 million to expand its production and manufacturing capacity in Victoria and create up to 75 new jobs in Shepparton and La Trobe University. Nearly all medicinal cannabis in Australia is imported, making access to the drug prohibitive for many. However, local businesses like Cannatrek are aiming to make the product more affordable. The company is currently supplying weed from Canadian sources, and has set up a research facility in Brisbane. It will begin to build a 160,000-square-metre greenhouse facility in Shepparton later this year. Cannatrek chief executive, Tommy Huppert, believes the industry can create thousands of jobs across Australia. Huppert said Shepparton’s climate and horticultural history is highly suited to the production of medicinal cannabis, suggesting the new facility would be located outdoors. Newly installed agriculture minister and legislative council member for Northern Victoria, Jaclyn Symes, said the growth of a medicinal cannabis industry in regions such as Shepparton was part of the Andrews Government’s long-term medicinal cannabis strategy. Symes noted that in hosting Cronos Australia's Asia-Pacific R&D centre alongside Spectrum Cannabis Australia and Cann Group's medicinal cannabis operations, Victoria is quickly cementing its position as the southern hemisphere's hub for cultivation and production of high-quality medicinal cannabis products. Yet Victoria’s ambition to emerge as the pot capital of Australia is not likely to be successful unless market access for local patients significantly improves. Despite considerable improvements over the past year, patient access to medical cannabis remains a considerable concern, and has been described as a bureaucratic nightmare to navigate for those who need it the most. “The crux of the problem is, we can’t produce medical cannabis products for our market unless we enable the market [patients] to access those products,” Fiona Patten, leader of the Reason Party and a member of the Legislative Council for Victoria, told Marijuana Business Daily. As of the end of 2018, Australia’s Therapeutic Goods Administration approved just over 2,800 patients throughout the country from 54 authorised prescribers. According to Patten, that accounts for just 3% of the people who should qualify for medical cannabis use in the country. For Patten, Victoria’s aim to be a leader in medical cannabis exports is also a “kick in the gut to very sick Victorians who could benefit from this product” but who struggle with access and prohibitive costs. The legal medical cannabis market in Australia is currently valued at $17.7 million annually, and could be worth $1.2 billion by 2024, ramping up to $3 billion by 2028, according to market intelligence firm, Prohibition Partners.